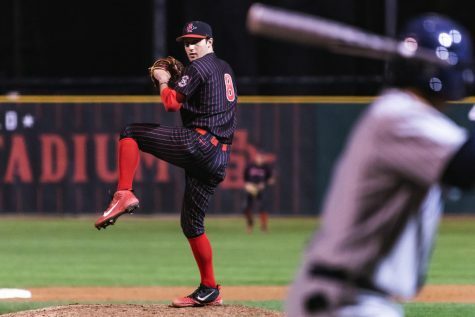 It took four hours and eight minutes for San Diego State baseball to walk-off against Seattle University in its 6-5 10-inning victory on March 15 at Tony Gwynn Stadium. 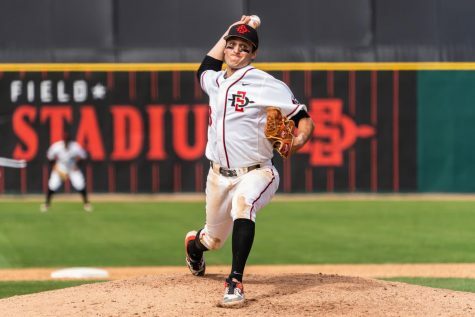 The Aztecs’ (9-7, 2-2 Mountain West) late game heroics were provided by sophomore left fielder Matt Rudick, who delivered the game winning two out single in the bottom of the tenth inning to bring home sophomore catcher Joe Fitzhugh. Rudick said his previous at-bats didn’t affect his approach before the game winning hit. 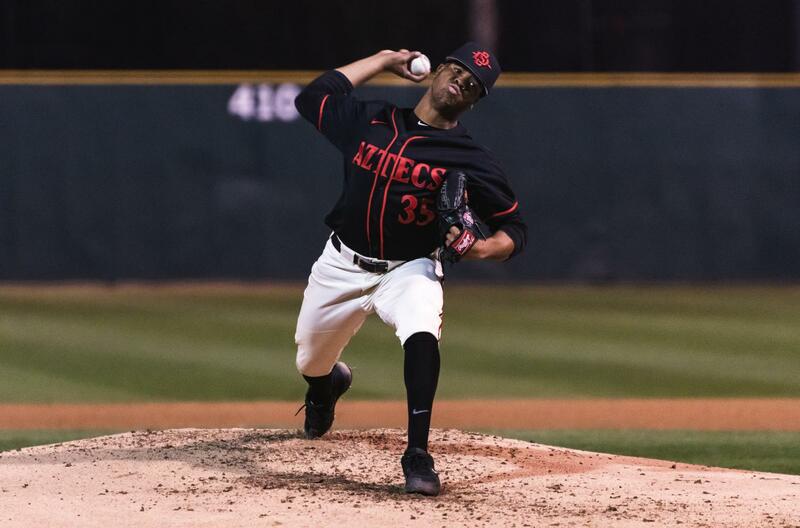 Junior pitcher Adrian Mardueno provided the Aztecs with 2.2 innings from the bullpen and recorded a career high seven strikeouts. Mardueno said he needs to keep a similar routine while on the mound. “(I need to) keep throwing strikes, getting my offspeed pitch over the plate and getting these guys out,” Mardueno said. Mardueno said he was relieved after the four hour game’s conclusion. “(It’s) good because I’ve got some homework at the end of the night, so I’ve got to go do that,” he said. 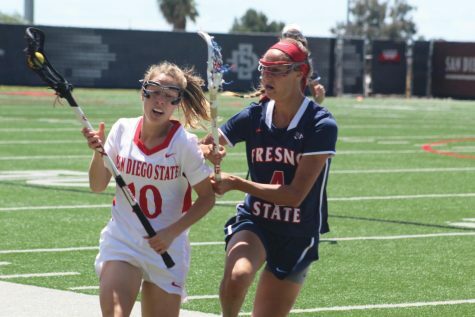 SDSU trailed 5-3 in the seventh inning of the ballgame, but tied it with a two-run seventh inning. Senior shortstop Angelo Armenta’s HBP and freshman first baseman Brian Leonhardt’s sacrifice fly provided the two RBIs. Head coach Mark Martinez said if the team can find a way to get on base, the runs will come. Seattle took a 4-3 lead in the fifth inning and forced freshman starting pitcher Aaron Eden to be pulled after four innings of work. The Redhawks tagged the Aztecs for two runs with RBIs coming from freshman center fielder Kyle Sherick and sophomore left fielder Connor O’Brien. Martinez said the team needs improvement from the starting pitching. 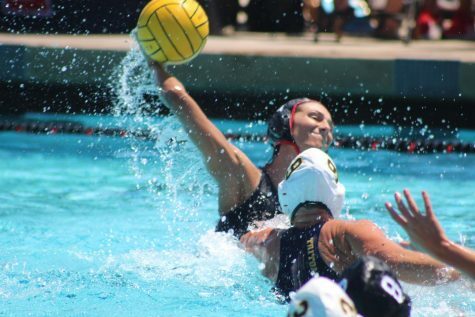 “One thing we have to do is get better starting pitching to get us deeper into the game. We’re depleted as far as the pitching staff goes. We have some injuries, our bullpen is a little taxed, so I think that’s the biggest thing,” Martinez said. 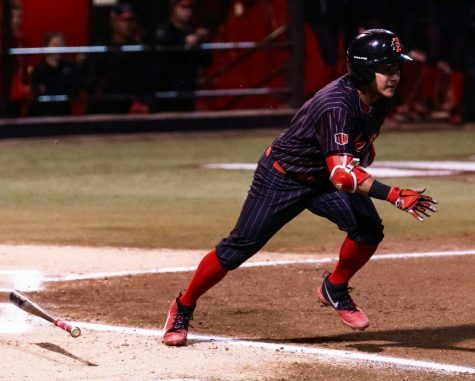 The first runs for the Aztecs came in a three-run fourth inning. RBI singles from senior designated hitter Chad Bible and sophomore third baseman Casey Schmitt brought in two of the three runs. Senior shortstop Angelo Armenta accounted for the third run after he scored from third base on a passed ball. Redhawks’ junior right fielder Chase Wells drove in two RBIs while sophomore designated hitter Justin Mazzone drove in an RBI in their teams losing effort. 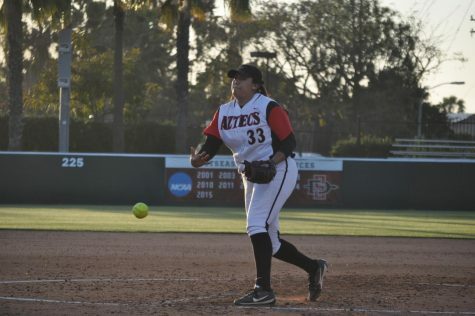 The Aztecs will play the second game of the three game series against Seattle on March 16 at Tony Gwynn Stadium.